Instantly downloadable sheet music by Eliza Gilkyson for choir and piano (SATB) of MEDIUM skill level. Alle Noten von Eliza Gilkyson zum Herunterladen bei VirtualSheetMusic. Instantly downloadable sheet music by Israeli Folk Song for choir and piano (2-Part) of MEDIUM skill level. Alle Notenausgaben von Hineh Ma Tov zum Herunterladen bei VirtualSheetMusic. Alle Noten von Israeli Folk Song zum Herunterladen bei VirtualSheetMusic. David Lantz – Come, Holy Spirit, Come! Instantly downloadable sheet music by David Lantz for choir and piano (SATB) of MEDIUM skill level. Alle Notenausgaben von Come, Holy Spirit, Come! zum Herunterladen bei VirtualSheetMusic. Alle Noten von David Lantz zum Herunterladen bei VirtualSheetMusic. Instantly downloadable sheet music by Lee Dengler for choir and piano (SATB) of MEDIUM skill level. Alle Notenausgaben von Meditation On Grace zum Herunterladen bei VirtualSheetMusic. Alle Noten von Lee Dengler zum Herunterladen bei VirtualSheetMusic. Instantly downloadable sheet music by Ruth Elaine Schram for choir and piano (SATB) of MEDIUM skill level. Alle Notenausgaben von Come, Dine With Me zum Herunterladen bei VirtualSheetMusic. Instantly downloadable sheet music by Aaron Williams for choir and piano (SATB) of MEDIUM skill level. Alle Notenausgaben von Come, We That Love The Lord zum Herunterladen bei VirtualSheetMusic. Alle Noten von Aaron Williams zum Herunterladen bei VirtualSheetMusic. 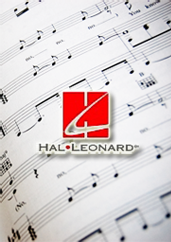 Instantly downloadable sheet music by Lowell Alexander for choir and piano (SATB) of MEDIUM skill level. Alle Notenausgaben von Prayer Of Gethsemane zum Herunterladen bei VirtualSheetMusic. Instantly downloadable sheet music by Audrey Snyder for choir and piano (SATB) of MEDIUM skill level. Alle Notenausgaben von Set Me As A Seal zum Herunterladen bei VirtualSheetMusic. Instantly downloadable sheet music by Gail McCoig Blanton for choir and piano (SAB) of MEDIUM skill level. Alle Notenausgaben von From Generation To Generation (Thou Art God) zum Herunterladen bei VirtualSheetMusic. Alle Noten von Gail McCoig Blanton zum Herunterladen bei VirtualSheetMusic. Instantly downloadable sheet music by Heather Sorenson for choir and piano (SATB) of MEDIUM skill level. Alle Notenausgaben von A Communion Invitation zum Herunterladen bei VirtualSheetMusic. Alle Noten von Heather Sorenson zum Herunterladen bei VirtualSheetMusic. Instantly downloadable sheet music by Michael Hurley for choir and piano (SATB) of MEDIUM skill level. Alle Notenausgaben von Whatever The Question zum Herunterladen bei VirtualSheetMusic. Alle Noten von Michael Hurley zum Herunterladen bei VirtualSheetMusic. Instantly downloadable sheet music by Valerie Crescenz for choir and piano (SATB) of MEDIUM skill level. Alle Notenausgaben von The Time Has Come zum Herunterladen bei VirtualSheetMusic. Alle Notenausgaben von He Is King zum Herunterladen bei VirtualSheetMusic. Alle Notenausgaben von This Day Of Rejoicing zum Herunterladen bei VirtualSheetMusic. Alle Notenausgaben von Lord, Keep Us Closer To You zum Herunterladen bei VirtualSheetMusic. Instantly downloadable sheet music by Edwin O. Excell for choir and piano (SAB) of MEDIUM skill level. Alle Notenausgaben von Count Your Blessings zum Herunterladen bei VirtualSheetMusic. Alle Noten von Edwin O. Excell zum Herunterladen bei VirtualSheetMusic. Alle Notenausgaben von Good News! zum Herunterladen bei VirtualSheetMusic. Charles McCartha – What Feast Will You Bring? Instantly downloadable sheet music by Charles McCartha for choir and piano (SATB) of MEDIUM skill level. Alle Notenausgaben von What Feast Will You Bring? zum Herunterladen bei VirtualSheetMusic. Alle Noten von Charles McCartha zum Herunterladen bei VirtualSheetMusic. Instantly downloadable sheet music by Joseph M. Martin for choir and piano (SATB) of MEDIUM skill level. Alle Notenausgaben von A Heart To Praise My God zum Herunterladen bei VirtualSheetMusic. Instantly downloadable sheet music by Patti Drennan for choir and piano (SATB) of MEDIUM skill level. Alle Notenausgaben von Christ Is Always With You zum Herunterladen bei VirtualSheetMusic. Alle Noten von Patti Drennan zum Herunterladen bei VirtualSheetMusic. Instantly downloadable sheet music by Rollo Dilworth for choir and piano (SSA) of MEDIUM skill level. Alle Notenausgaben von Make A Joyful Noise zum Herunterladen bei VirtualSheetMusic. Instantly downloadable sheet music by Ashley Brooke for choir and piano (2-Part) of MEDIUM skill level. Alle Notenausgaben von Riding On The Road To Jerusalem zum Herunterladen bei VirtualSheetMusic. Alle Notenausgaben von Up Above My Head (There`s Music In The Air) zum Herunterladen bei VirtualSheetMusic. Instantly downloadable sheet music by John Leavitt for choir and piano (SATB) of MEDIUM skill level. Alle Notenausgaben von Sing Hallelujah! A Festival Of Song zum Herunterladen bei VirtualSheetMusic. Instantly downloadable sheet music by Mark Weston for choir and piano (2-Part) of MEDIUM skill level. Alle Notenausgaben von With A Heart Of Praise zum Herunterladen bei VirtualSheetMusic. Alle Noten von Mark Weston zum Herunterladen bei VirtualSheetMusic. Instantly downloadable sheet music by Don Besig for choir and piano (SATB) of MEDIUM skill level. Alle Notenausgaben von Celebration Of Service zum Herunterladen bei VirtualSheetMusic. Alle Noten von Don Besig zum Herunterladen bei VirtualSheetMusic. Alle Notenausgaben von There`s A Wideness In God`s Mercy zum Herunterladen bei VirtualSheetMusic. Alle Notenausgaben von God Bless Our Homes zum Herunterladen bei VirtualSheetMusic.